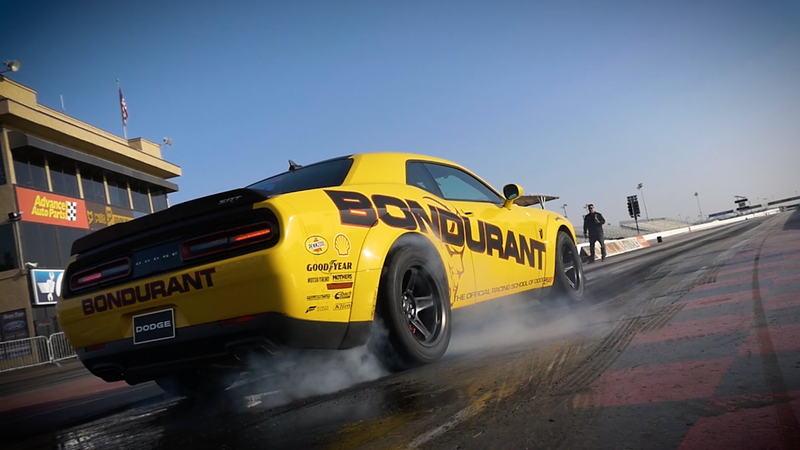 The Bob Bondurant School of High Performance Driving, the official school of Dodge and its SRT performance line, closed down Monday, according to reports. The closure comes a month after the school filed for bankruptcy in “a difficult yet important step towards becoming a stronger company,” it said at the time. Started by former Le Mans racer Bob Bondurant in 1968 after recovering from racing injuries that ended his career, the school filed for Chapter 11 bankruptcy in Arizona on Oct. 2. Motor Authority reports that a spokesperson for the school confirmed its closure on Monday, but that not much else was said about it. A call to the school’s president and CEO, Patricia Bondurant, was not immediately returned. There was no immediate word on why the decision was made to close the school. The spokesman said more details would likely be released in the coming days. The school’s Facebook page last posted two days before the school’s reported closure, so we’ve also reached out for comment. Initial bankruptcy filings are simple and have a bunch of checkboxes, and the filing for the Bondurant school checked the box for owing an estimated 50 to 99 creditors between $1 million and $10 million. Patricia Bondurant, the school’s president and CEO and Bob Bondurant’s wife, signed the documents. The Bondurant school became the official driving school for Dodge and SRT in 2015, according to Autoblog, and the school’s website says owners and lessees of 2017 and 2018 SRT vehicles get a one-day driving experience with the school, which is $999 otherwise, included in the cars’ purchase price. The experience is redeemable within a year of the purchase, meaning there could be any number of people still eligible for it now that the school has reportedly closed. The official Dodge Garage website still has the Bondurant driving school listed on it, and we’ve reached out to Dodge and SRT to ask what will be done in terms of future driving schools and SRT buyers who haven’t redeemed their driving experience with the school yet. We’ll update this story if we hear back.